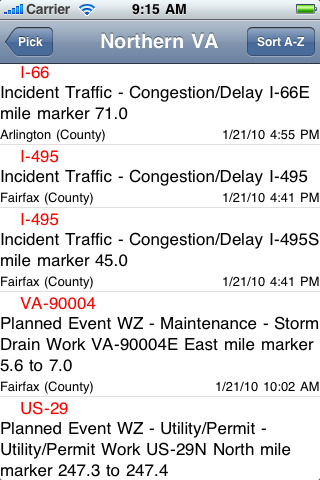 Virginia Traffic is now available on the App Store for $0.99. It’s pretty simple, really, just fire it up and it shows you the current conditions for the region you choose. Click the sort button in the top-right corner to sort the list by county name or by update time.